The Coventry Transport Museum houses the largest collection of British road transport anywhere in the world proving to be one of the most popular tourist attractions in Coventry. The museum not only exhibits motorcars but also showcases cycles, tricycles, horse-drawn vehicles and some of the earliest motorcars. It also displays today’s commercial vehicles. “Anything on four wheels that has a Coventry connection, whether it was built here or the components were made in Coventry then we will have it here.” Explained Mr. Clive Skelhon, Head of PR and Marketing at the Coventry Transport Museum. Mr. Skelhon expects visitors from South America at the end of the year after the Transport museum was picked as location for a South American motoring programme that is due to air this year. 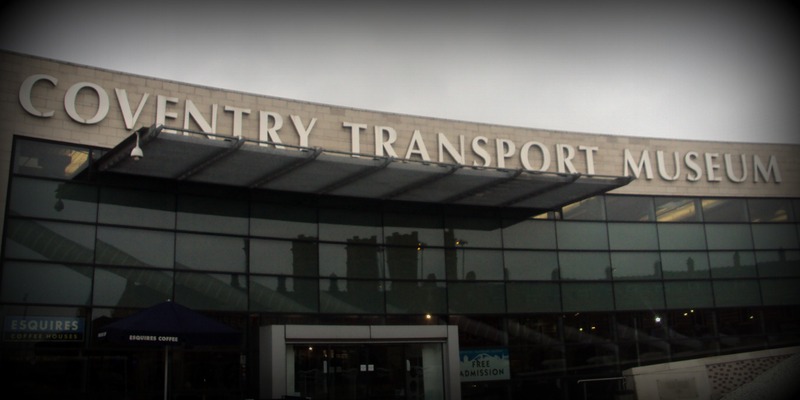 It is indeed very significant that the Transport Museum is located in Coventry and not anywhere else. “Coventry was at the heart of the cycle industry and then evolved into the centre of the motor car industry. It still continues to do so because there is still a niche market with super car construction in Coventry at this time.” said Mr. Skelhon. The museum tries to host up to four temporary exhibitions per year with various different themes and subject matters. Currently the museum is hosting the Le Mans through the Ages exhibition, which will be running up to Monday 2nd May this year. This particular exhibition demonstrates a collection of eleven Le Mans racing cars that have actually been to Le Mans and have been raced. Mr. Skelhon explained, “These cars have actually done it, so they do all the talking for us and it’s proving to be a huge hit.” There’s also a competition running to win tickets to this year’s Le Mans weekend in June with a Return Ferry Crossing to France. The museum also brings history to life fitness with the insanity workout themed weekends that take you on a journey through time. From the Victorian Weekend and through the 1920’s, to the 90’s and to the 2000’s and beyond; 2011 is a year packed with adventure for the museum. “It really gives us the opportunity to play to our strengths on focusing on a particular decade because then we can present particular vehicles of the time and how people lived during those times,” said Mr. Skelhon. the summer holiday workshops run by Julia Gandy at the Transport Museum have really saved my sanity this summer holiday, keeping the kids amused at an extremely reasonable price!